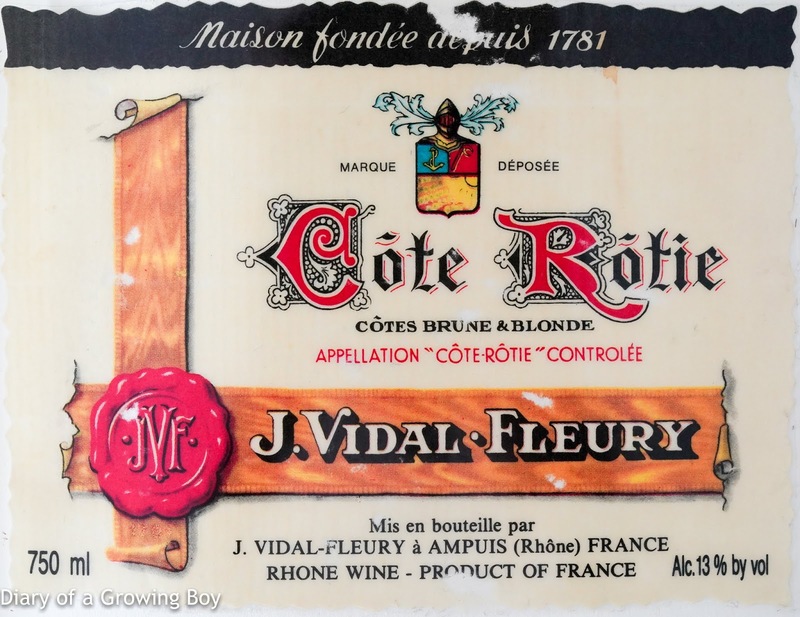 1994 Vidal-Fleury Côte-Rôtie - very typical, classic Côte-Rôtie... displaying some berries fruit, but higher acidity. 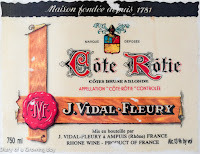 It was good but nothing extraordinary. 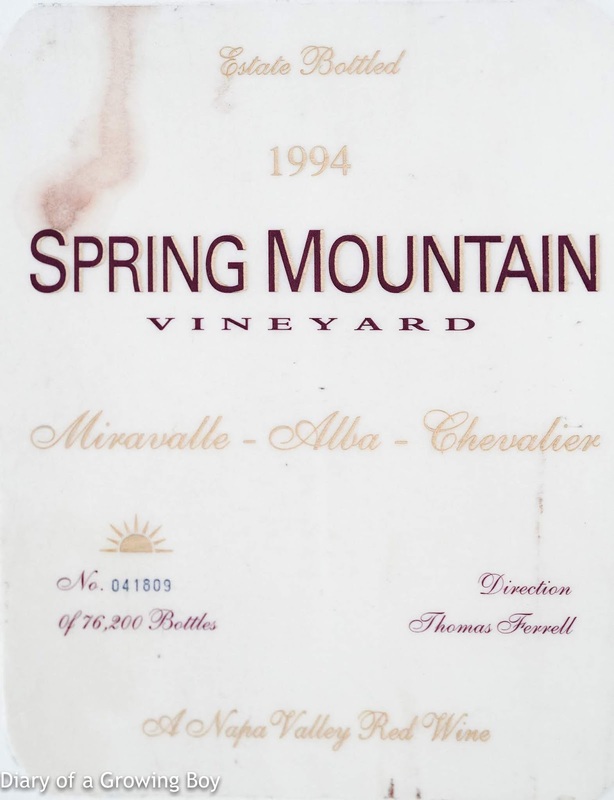 1994 Spring Mountain Vineyard Miravalle-Alba-Chevalier - disappointing. Maybe we didn't air it enough, and drank out of small glasses. But not much of a nose. 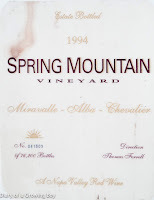 Tannins were smooth, but no fruit for a Californian cab.